Add decor to a nook, entryway, or sunroom with a festive Rubber Plant. 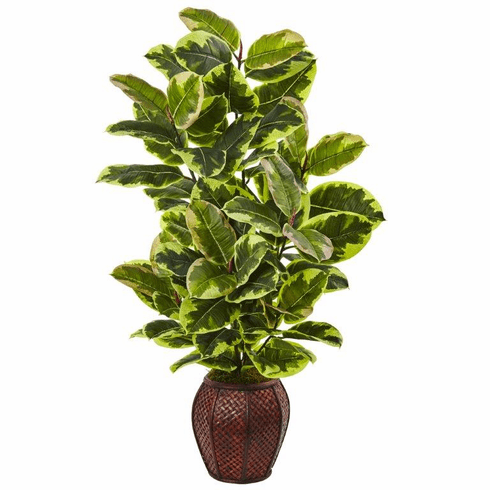 This Rubber Plant is stacked high with lush, variegated leaves that give an interesting statement to your home. Natural moss lined along the edge of the planter gives a touch of different. Complete with a textured woven planter in reddish tones that draws attention to the eye.